Enjoy puppet shows, story times with the “Beary Godmother,” take home crafts and special meet & greets with the Berenstain Bears. See the grizzly bears and polar bears receive special enrichment treats from their keepers too. Sat., 10:00 am – 4:00 pm. Sun., 10:00 am – 4:00 pm. San Francisco. See website for pricing. All ages Event details. Join best-selling author and nature advocate, Richard Louv, and play backyard games designed by six inventive kids from around the country. Try organic snacks from CLIF Kid, and enjoy additional family entertainment. Sat., 11:00 am – 1:00 pm. San Francisco. Free. All ages. Event details. 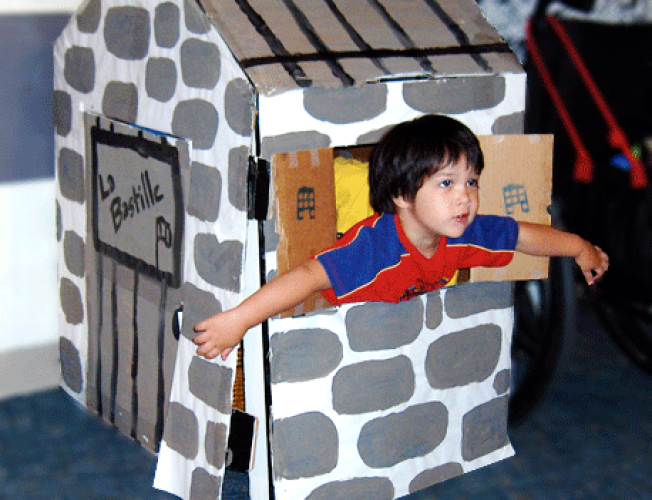 Kids can celebrate by tasting French bread and cheese, and planning their escape from the Bastille prison. They can make and decorate a French chapeau too, using recycled newspaper and fun fabrics. Sat., 9:30 am – 4:30 pm. Berkeley. $10 per person. Under 1, free. Ages 0-5. Event details. The grass will be turned into a giant dance floor, so get out there and learn to salsa! There will be free salsa lessons for everyone at this family-friendly event sponsored by Oaklandish. Bring a picnic, and make a day of it! Sun., 12:00 pm – 5:00 pm. Oakland. Free. All ages. Event details.